THE LATEST IN KITCHEN FIRE PREVENTION. More fires start in the kitchen than in any other room. Those fires can be expensive; since even a minor incident, with no injuries, can result in significant damage. That’s why it’s important to keep up with the latest in fire prevention. Never leave cooking food unattended. Doing so is the number one cause of kitchen fires. Make sure cooking appliances, especially deep fryers, are safety certified by the appropriate government agency. When using oil in a frying pan, always heat slowly at no more than a medium heat setting. 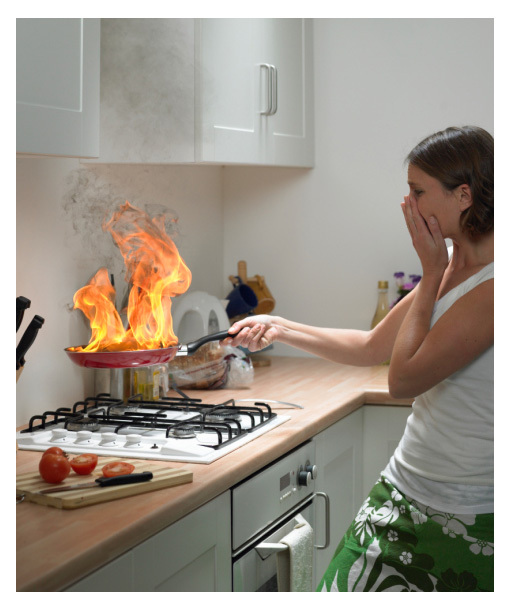 Always turn off stove burners and other cooking appliances immediately after cooking. Never attempt to put out a grease fire with water. Use baking soda or a fire extinguisher. Never remove or cover up a smoke detector due to nuisance alarms. The one alarm that isn’t a nuisance may save your life. Finally, experts say that if you can’t put out a fire immediately, get everyone out of the home and call emergency services. Get more useful tips and learn what makes HudsonHomeTeam better when you are looking to sell your #SouthSurrey #WhiteRock home.